You love rainbow loom bracelets. I love rainbow loom bracelets. I don’t think I know a single kid that doesn’t love rainbow loom bracelets. No one can deny the awesomeness of rainbow loom bracelets, especially when they’re made for a good cause. We might not be able to recreate Kimmel’s amazing Suit of the Loom, but we felt so inspired by this intricate loom-wear that we just had to find the kookiest, craziest rainbow loom patterns around to share with you. If you’ve seen our collection of 6 Incredible Rainbow Loom Patterns, you already know that challenging Rainbow Loom designs exist. Nonetheless, we bet you haven’t seen these Rainbow Loom patterns! Pssst….don’t forget to scroll all the way down! Are you prepared to take on the most challenging (yet totally radical) Rainbow Loom bracelets out there? Grab your rubber bands and get started! Yes, you read that correctly. You can use this Rainbow Loom pattern to create a custom bracelet with your name on it. Make sure you’ve got time to spare before attempting this one! You love the fishtail Rainbow Loom pattern…so why not step it up a notch? Woah…this pattern is almost like seeing a Rainbow Loom bracelet within a Rainbow Loom bracelet. Too cool! The “X” is for X-treme! You have to try this awesome Rainbow Loom pattern. This is perhaps the simplest of our kooky Rainbow Loom patterns, but it looks incredibly cool. Show everyone at school that you’re crazy for Rainbow Looms projects! Summer is coming, even if it seems far away. Use this Rainbow Loom pattern to make beach-friendly shoes! You may love Rainbow Loom bracelets, but chances are you love your BFF a little more. Make this Rainbow Loom charm as a special gift! Ready to show off your love for Rainbow Loom patterns on the go? This DIY purse is the perfect tutorial for you. Okay, so maybe these patterns are a little intense for you. That’s okay! 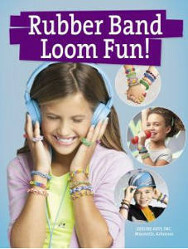 We respect Rainbow Loom-ers of all skill level, and that’s why we’re giving away two copies of Rubber Band Loom Fun! Our giveaway ends on March 17, 2014, at 11:59:59 p.m. Eastern Time, so make sure you enter today for your chance to win! What’s the craziest Rainbow Loom project you’ve ever seen? It’s starting to get a bit chilly out there, isn’t it? Winter can bring about cold temperatures and less than lovely weather conditions, however it also offers a great opportunity to stay inside and craft free sewing patterns! You should definitely be all cozy and warm while you’re working on your next masterpiece. And for the rare occasions that you actually venture out of the house (gasp! 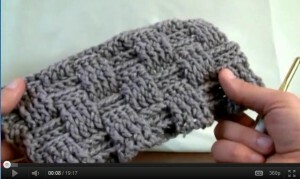 ), we’ve got cute mitten and hat patterns you’ll love. I’ve rounded-up a few sewing patterns I think are great for winter. 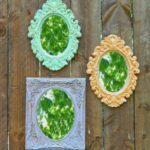 You’ll also find helpful video tutorials that will show you how to make these comfy projects step-by-step. Grab the hot cocoa, it’s time to sew up some cozy projects you’ll live in this winter. Fur Pocket Fleece Scarf Tutorial: If you’ve been looking for a way to try out the fur trend, here’s an understated way to show off your handmade style. 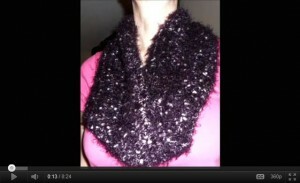 Learn how to make a scarf out of fleece material by following this helpful video tutorial. The Fur Pocket Scarf Tutorial leads the viewer through each step to creating a handmade scarf with a bit of flair. 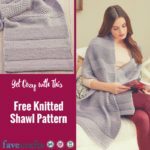 It’s one free scarf sewing pattern not to miss! Dress it up or dress it down, here’s a simple sewn accessory to add to your wardrobe. How to Make a Cowl Neck Capelet: Watch Angel from Fleece Fun as she teaches you how to create a cowl neck capelet; a piece that’s sure to be a fall and winter wardrobe staple. Once you know how to make a cowl neck capelet you can impress everyone with your new trendy piece. Use this cowl capelet pattern to create a sewn project that will keep you warm and cozy all season long. Lately it seems like everyone is taking a ride on the knitting bandwagon. From famous people, like actress Amanda Seyfried, to male and female friends and family members — everyone wants to learn how to knit! If you’re reading this because you’ve decided that today is the day you’re going to finally learn how to do this addictive hobby, then you’re in luck! Together, we’ll unravel the tangled mystery that is knitting, and by the end of this post, you’ll be well on your way to creating your first knit scarf! Are you ready for a few “purls” of wisdom? (Please forgive my knitting puns). Let’s get started! Because you’re learning something new, you’re going to need to grasp a few basic techniques before starting complicated projects. 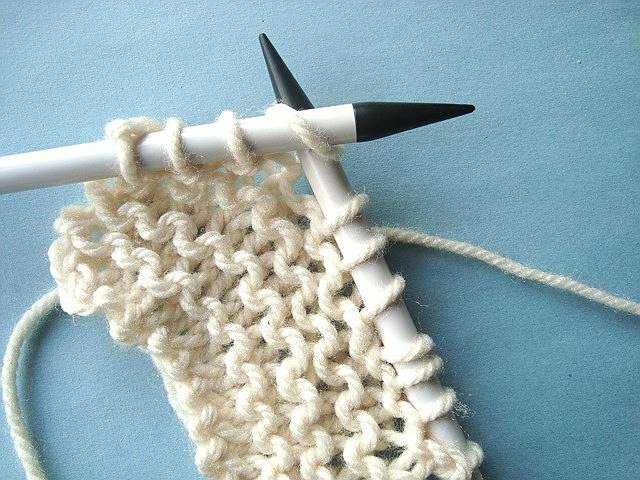 For your convenience, we’ve rounded up some of our top knitting tutorials, so you can get started learning a new hobby today! Shifting Colors Dishcloth Scarf – This fast knitting pattern is ideal for a beginner. In this pattern, you’ll get plenty of practice using the knit stitch by whipping up five basic squares. Once your squares are complete, seam them together to make a trendy scarf! Easy Beginner Knitted Hat – Made with straight knitting needles, this project will allow a beginner to practice several techniques including the knit stitch, knitting with two strands of yarn at the same time, and basic seaming methods. Once your baby hat is seamed up, embellish it with a fun, homemade pom pom! Simple Cotton Dishcloth – Get practice knitting by creating something practical for the kitchen! This easy knit dishcloth is the perfect beginner pattern to work on while watching some T.V. It’s small, fast to finish and it’s extremely portable. If you’re like me, then you’re more of a visual learner. If reading the articles above just isn’t making sense, you won’t want to miss this collection of knitting videos below. Whether you’re completely new to the hobby, or you just need a little refresher, these videos will help you pick up your needles and start knitting! I hope that all of these free tutorials have helped you get started, and that you’re already halfway finished with your first scarf! Remember, knitting really isn’t that complicated. There are just two stitches to learn: the knit stitch and the purl stitch. Every other special stitch is just a combination of those two stitches. That doesn’t sound all that bad, right? 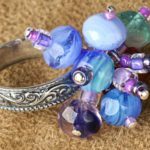 And while you’re picking up a new hobby, why not check out a new project and giveaway every day in March? We’re celebrating National Craft Month in a big way. Check out today’s post for your chance to win an awesome prize! What’s the one tip or technique you wished you knew about as a beginner knitter? Whether you used to be very familiar with the sewing machine or the two of you have never met, sewing basics never go out of style. Every now and then it’s time for a refresher. Or, if you’re new to sewing, you can use these tricks and tutorials to teach yourself how to sew. It’s a great lifelong skill to have. Not to mention, you can create fun clothing and accessories that will have that special handmade element and won’t break the bank! At first, sewing something may seem overwhelming. 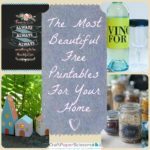 If you’re not sure where to start, what supplies you’ll need or even what kind of projects you’d want to make, fear not. We’ve put together this post just for you! Let’s get started, shall we? Since you’re learning a new skill, you’ll need to pick up on some simple tips and techniques. Below we’ve rounded up helpful sewing tips. Check out these easy lessons before you start sewing. It’s our best advice to any new sewist! 15 Minute Mouse Pad Wrist Rest – A quick and easy sewing project you can use daily. 20 Minute Skirt Tutorial – A simple skirt project that’s totally wearable. 5 Things to Make with Fat Quarters – Several fun ideas that all require small amounts of fabric. For all you visual learners, we’ve got video tutorials that were created to help new sewists learn how to pick up the craft. Below you’ll find a few videos we recommend to anyone learning how to sew or even those of you who just need a little refresher. Let Amy Renea, our newest video creator, lead you through a few simple basics you’ll need to know for sewing. Hopefully we’ve given you enough direction to start sewing. Remember, all you need is a little inspiration and these sewing tips and tutorials to get started. 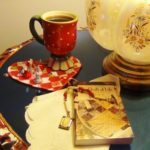 Our sewing site, AllFreeSewing.com is constantly updated with new project ideas, tips, video tutorials and more. Check back often to find even more sewing inspiration. You can also subscribe to our sewing newsletter, Sewing It Up and receive the latest on all things sewing right to your inbox! 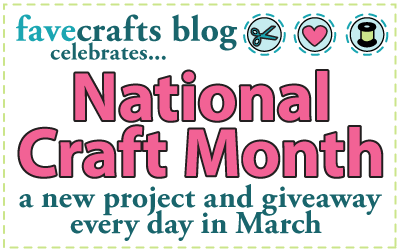 And while you’re picking up a new craft, why not check out a new project and giveaway everyday in March? We’re celebrating National Craft Month in a big way. Check out today’s post for your chance to win an awesome prize! What’s your best piece of advice to new sewists? This and many other free video tutorials can be found at AllFreeCrochet’s YouTube Channel. Create a stunning Christmas Wreath from scratch. Most store wreaths have really skimped on the details. Most wreaths today are only half way done with the back half being flat and usually cardboard is showing. In this tutorial, we are not cutting details and providing a true 3D wreath. I used discount deals to make my own. The balls were half price. This craft can be expensive if you don’t plan it properly. I show you how to secure the balls and tell you what materials you will need. Here is 29 links for more wreath creation projects that are free to view and use. The 2nd highest rated video in my collection is The Circle Center Granny Squares. Essentially, the granny square starts off being circular but ends up being a square. This has been used on several different patterns which include the Bumble Berry Afghan and Colour Burst Afghan Tutorials. I think people get bored of the same old granny squares. 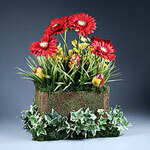 This allows you have to some creativity but produce really nice ideas. I think Granny Squares are timeless as all that needs to change are the colours and not necessary the pattern. These and many more are featured at AllFreeCrochet. Mikey, from The Crafting Crowd, demonstrates in this 17 Minute Tutorial the full process of doing a circle center granny square. The square in this video is matching the Bumble Berry Pie Afghan that he has just finished in August 2011. He used Bernat’s Mosaic Yarn throughout the afghan and it looks absolutely stunning. Grab your size J Hook and favorite yarn to follow along. 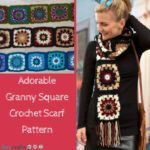 For more free patterns and inspiration, search through AllFreeCrochet.com and find a free pattern to work on.